Making people want to look at homes that have been in the MLS for longer than stale bread requires new tactics. 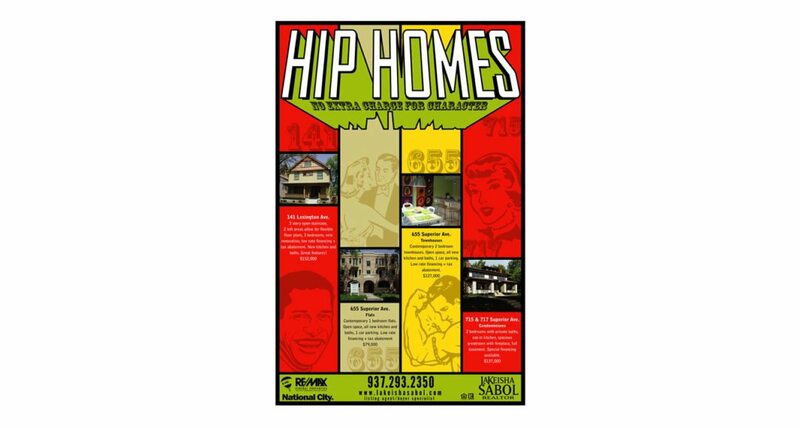 To get these houses moving we worked with our client to design a poster that was eye catching and contemporary. These ads went up in National City Bank branches and the NCB public market. Quickly after being hung they were promptly stolen by some poster loving locals. No extra charge for character or free publicity.